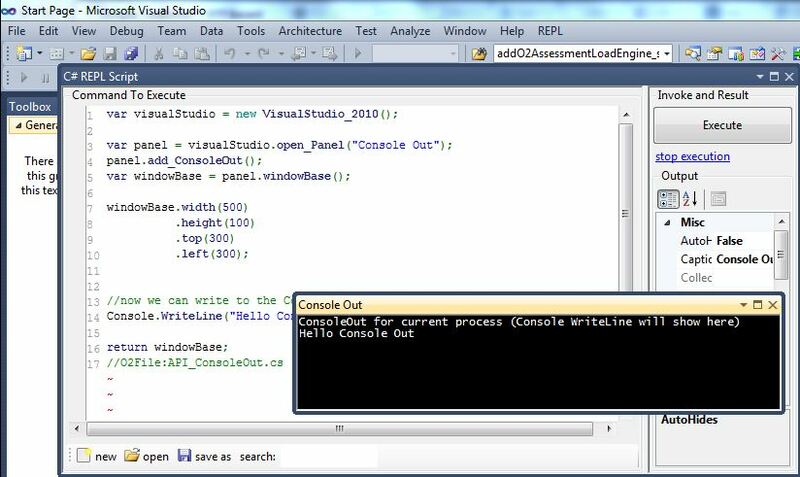 Micheal is using the API_ConsoleOut.cs (which you can read in more detail at API_ConsoleOut.cs – New and InProcess Capture of the Console Output ) to add a 'Console Out' Panel to a Form Window. Now this Form object is a WinForms control and is not a native VisualStudio Window, which means that we can't add it to the VisualStudio Panes. A better option is to make this a native VisualStudio Window, which is quite easy to do. 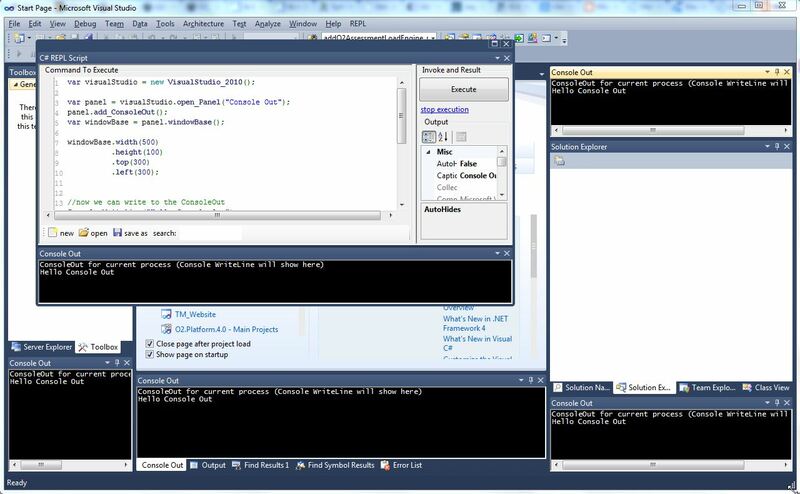 And now the Console Out is now inside a native VisualStudio window, which we can access and manipulate. 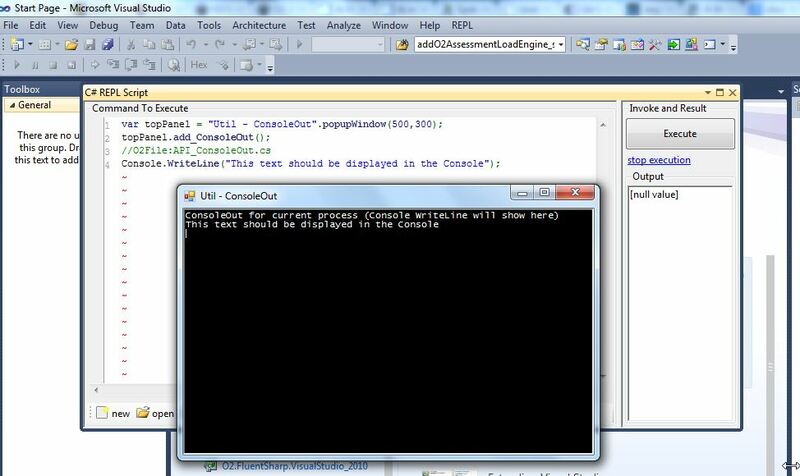 Next see the Viewing 'Console Out' messages created inside UserControls (when rendered by VisualStudio's Form Designer) for a practical example of using this technique during development.